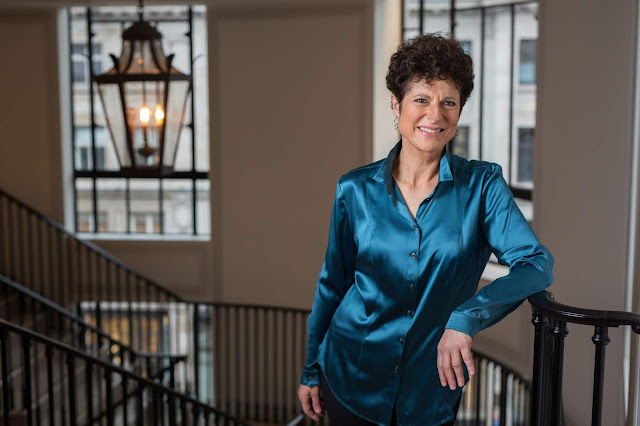 Pianist Margaret Fingerhut is making a rare London appearance next month when she joins Charles Owen and Katya Apekisheva's London Piano Festival, where Margaret will be participating in the two piano gala. 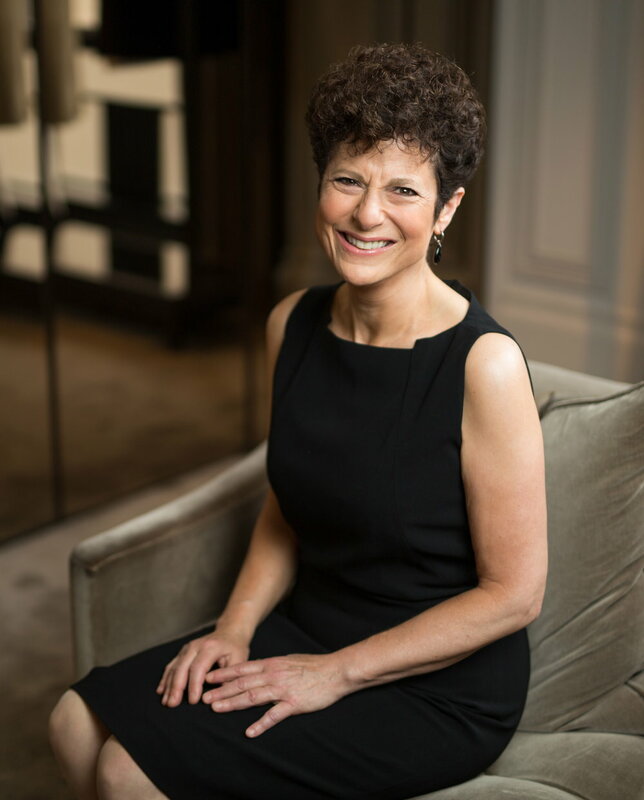 I recently met up with Margaret to find out what we can expect at the gala, and to talk about recent projects and her love for late Romantic piano music. 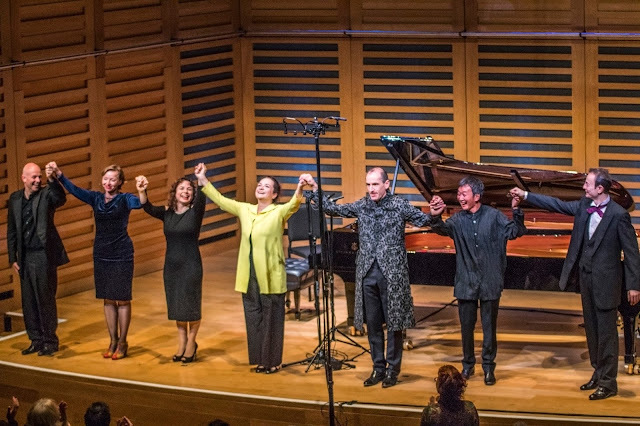 At the London Piano Festival (this year in its third appearance), Charles and Katya particularly like to invite pianists who are their friends to perform in the two-piano gala. Charles and Margaret have been friends for a number of years and in fact were once neighbours. With Charles, Margaret will be performing two pieces by Arnold Bax, these seemed a natural fit as the music of Bax has featured a lot in Margaret's life and Bax wrote some wonderful two piano pieces which have not so far been played at the festival, he wrote many of his two piano pieces for Ethel Bartlett and Rae Robertson (a British piano duo active in the 1930s and 1940s). Bax seems to have loved depicting water in his music and Poisoned Fountain for two pianos is incredibly atmospheric, and Margaret describes it as rather spooky and surprisingly advanced for its time (Bax wrote the piece in 1928, when it was premiered by Bartleet and Robinson). As a complement to this, Margaret and Charles will perform Bax's Hardanger which is an homage to Grieg. With Katya, Margaret will be playing Poulenc, again a contrasting group of pieces. The light-hearted Capriccio, which was written in 1952 and dedicated to Samuel Barber (it is based on Poulenc's 1932 profane cantata Le bal masque) and L'embarquement pour Cythere (from 1951, based on music Poulenc wrote for the film Le Voyage en Amérique by Henri Lavorel), a piece which Margaret describes as very much an earworm, Finally they will play the gorgeous, nostalgic Elegie (dedicated to the memory of Marguerite de Polignac, daughter of the fashion designer Jeanne Lanvina), about which Margaret quotes Poulenc as saying 'music should be played with a cigar and a glass of cognac'! 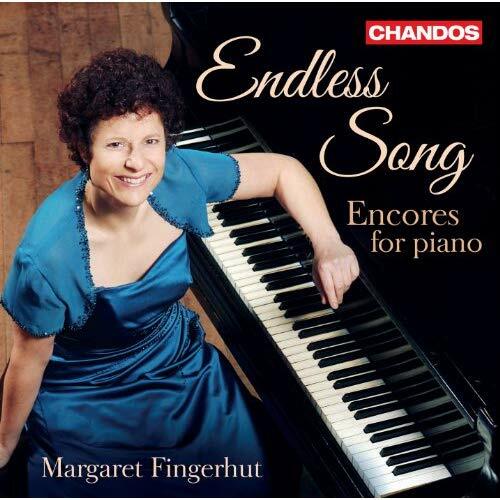 Margaret has not, in fact, played much two-piano music, though what she has played she has enjoyed. Most of her collaborations have been with other instrumentalists and singers, in chamber music and song. And she feels such collaborations with other pianists are enjoyable because they are different. Not that it is an easy task; coordinating with another pianist is quite difficult and she has heard performances where the collaboration has not worked at all. For two pianists to play together there is a need for there to be a great unanimity of touch, so that they play as one. When teaching at college, she has found that first-year students, in their chamber music option, sometimes choose two piano works thinking this is an easy option, which it certainly is not. Commenting on Charles Owen and Katya Apekisheva, who play a lot together but both have individual careers, Margaret remarks that Charles and Katya as soloists are such different players yet when they play together there is a remarkable synergy between them. 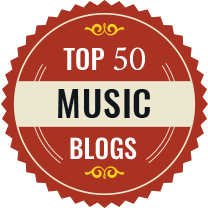 We comment on the strangeness of the linkage between artists. 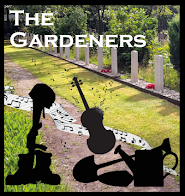 Margaret has played a lot of chamber music with the violinist Bradley Creswell (leader of the Royal Northern Sinfonia) and again, though they are very different musicians there is a strong feeling between them when playing together. One of the reasons why her forthcoming performance in the festival is a relatively rare London appearance is that in the last few years or so, Margaret, unfortunately, has had to take time off due to illness. She originally scaled her performing career back somewhat when she gave birth to her son, finding motherhood a big emotional commitment. So she stopped some aspects of her career, such as touring abroad. And just when she was getting back to bicker things she had a problem with an intractable frozen shoulder. Repeated problems with this and a trigger finger have led to her 'having more come-backs than hot dinners'. The problem, it turns out, is genetic and thanks to her specialist, she has not had to go back to see him for three or four years. She is now philosophical about the problems, and the years of stop-start, but she feels that such things do make you lose confidence, and she remains slightly nervous about possible problems. These problems would be disruptive to someone, not a performer, but for a pianist they are devastating. Her come-back CD, Endless Song was in fact dedicated to her then partner (now husband) and her specialist. It is rather more an unusual disc in her repertoire, consisting of more popular works. The idea for the disc started from John Metcalf's Endless Song which she describes as a lyrical outpouring, and she then included a lot more piano music which was similarly lyrical and song-like, indulging in many of her favourite pieces, including less well known composers such as Josef Suk (she has in fact made a double album of his piano music), Guastavino (the Schubert of the pampas), and a Rachmaninov transcription. 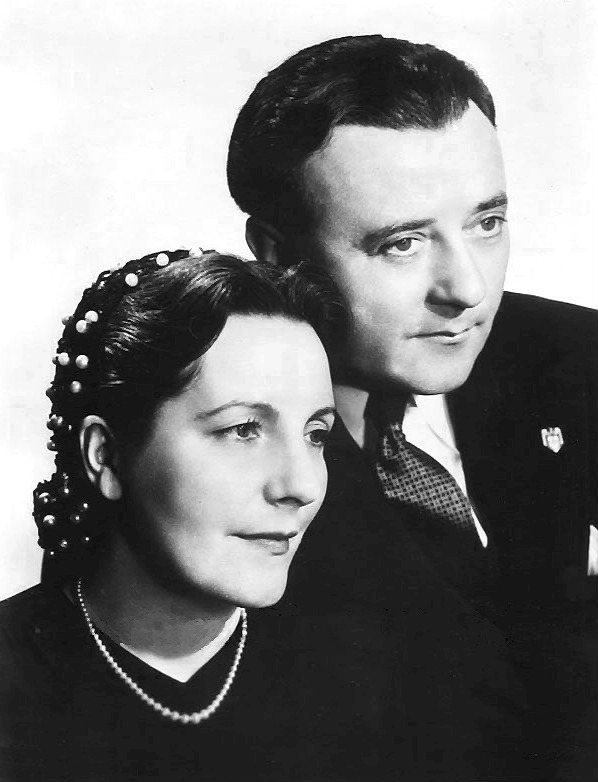 Looking at Margaret's extensive back-catalogue of recordings, her repertoire has a great selection of late Romantic and early 20th-century music. She explains that when she started recording for Chandos, very few people were recording this unusual repertoire (though it is more common nowadays), and she took the opportunity as she thought 'who wants to hear a young pianist in another cycle of Beethoven sonatas'. She also had a lot of late Romantic piano music already in her blood. Her first piano teacher had been a rather strict gentleman who was a retired teacher from the Royal Academy of Music. As well as giving her Bach, Mozart sonatas and such, she would be given music by Bax, Ireland, York Bowen and Greville Cooke as if this was perfectly normal repertoire. She found she loved the pieces. And then at the Royal College of Music, she studied with Angus Morrison who had been friends with William Walton and Constant Lambert and had lived in Paris and known Florent Schmitt and Reynaldo Hahn. And whilst at college she also did a lot of accompanying with singer and instrumentalists, performing Ireland, Howells, Gordon Jacob, York Bowen and William Hurlstone. She enjoyed the sociability of such collaborations, she wasn't the sort of pianist who locked herself in a practice alone. So at college, she had a rich and varied repertoire, well spiced with the more unusual later Romantic repertory. In fact, her first disc for Chandos was Russian music and she also has interests in Czech music, only half of her CDs are of British music. She has always naturally wanted to explore the musical byways and regards the music as giving her wonderful opportunities, and in fact was able to give the premiere of a piece by Rachmaninov on a disc of music by Tchaikovsky and his friends. One disc that she feels strongly about is her disc of the piano music of Kenneth Leighton, and she has found that audiences always respond to Leighton's music, though his music is not known as much as it should be. Margaret finds his music very genuine. Part of the problem, Margaret thinks, is that his career was in the 1960s and 1970s when experimentation was it its height and the establishment saw his music as too old hat and too tonal, but audiences could find it too advanced. In fact, he did experiment with serialism, but from a lyrical point of view, and evidently spent part of every day at the piano, always looking for a good tune. Margaret also feels that it is important to continue performing contemporary music, and she enjoys working with composers, though she admits that she is 'not a squeaky gate' person. In fact, in a couple of weeks after we met she was to give the premiere of a concertino for piano and strings by Clive Jenkins. This will be at Dartington, alongside the Finzi Eclogue. Margaret cannot remember a time when she did not want to play the piano. She comes from a musical family and, though not professional, her three siblings all play instruments and there has always been music in the family. Margaret has quite a varied pedigree of teachers, having studied with Cyril Scott and Angus Morrison at the Royal College of Music, Vlado Perlmuter in Paris and Leon Fleisher in New York, to this list she adds that she had a lesson with Adele Markus in New York but like lots of other pianists, she found her very destructive. Margaret studied with Cyril Smith during her first year at the college, and he gave her lot of techniques, how to practice. She regards herself as very lucky because he died after her first year. She then transferred to Angus Morrison, who gave her a love of French and English music. She finds that she got something from each of her teachers; Perlemuter had a luminous sound and was notable for Ravel and Chopin. Fleisher was a great influence on her. He was a student of Artur Schnabel and taught her how you look at the phrasing of the classics, bringing a sense of freedom and elasticity, and ebb and flow in the phrasing. She was lucky that from an early age, her parents took her to the local music club, and everyone came to perform there so that she heard, Rubinstein, Jacqueline Du Pré, Daniel Barenboim, the Beaux Arts Trio, the Amadeus Quartet, Victoria de los Angeles, Carlo Bergonzi and many more. She regards it as very fortuitous that she was able to hear so many great artists. 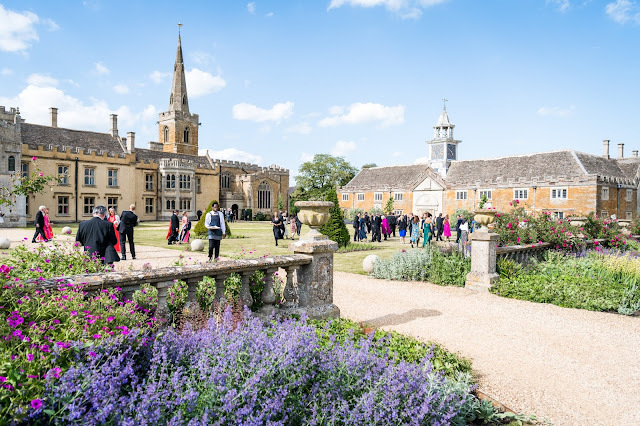 Looking ahead, as well as the concert at Dartington and the London Piano Festival to look forward to, Margaret is performing in Italy in a duo with a violinist and has a number of other trips abroad planned. Margaret Fingerhut's discography on Chandos Records. Ultraviolet radiation has the greatest effect on disinfection, with the wavelength range from 280 to 200 nm. Ultraviolet light emitters are often placed underground in water. The water flow through the lamp is about 10-15 cm thick and should be shone for 10-25 seconds. Ultraviolet rays are only visible through colorless water. As color and turbidity increase, the bactericidal effect decreases. The advantage of this UV sterilizer is that it does not affect the taste of the water.